Quebec's Tremblant becomes the blues capital of the world for one week in July thanks to the Tremblant International Blues Festival. Not all music festivals are worth twirling a hula hoop over. On the low end of the spectrum, festival-goers will encounter sweltering, overcrowded venues devoid of shade, quality food and cold beer. On the flipside, however, select mountain towns and ski resorts host some of the most desirable summer music festivals across the country—temperate weather, stunning views and easy access to mountain activities are just a few of the perks to pickin' in the high country. Once the snow has melted, these picturesque venues become the ideal playground for a variety of musical acts, including blues, folk, R&B, bluegrass and rock. To sweeten the pot, many of these festivals cater to patrons with exceptional craft beer and food vendor options. Got kids? No problem. Family activities and kid-friendly zones are ready and waiting for parents needing a break. From the first chord strummed to the last beer poured, these are the best summer music festivals in the mountains. 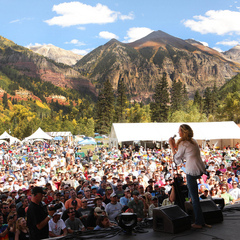 The 45th annual Telluride Bluegrass Festival is sure to be one to remember, with some of the biggest bluegrass names in the business making their way to the main stage at 8,750 feet. Nestled in the San Juan Mountains, the Telluride Bluegrass Festival is arguably one the most beautiful and talent-packed festivals of the year. This year's lineup includes Sturgill Simpson, Leftover Salmon, The Infamous Stringdusters and the Sam Bush Band. 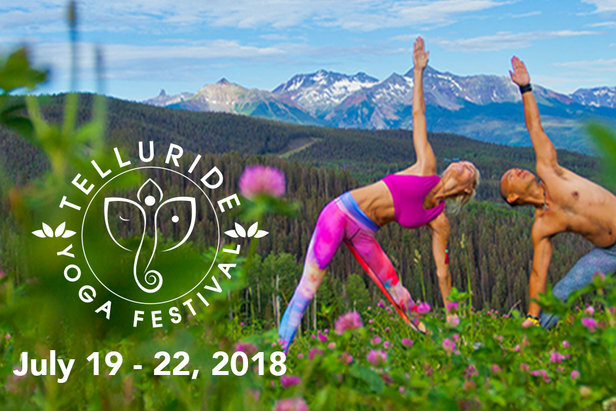 Three days of blues, funk, rock and jam bands descend on Telluride in mid September to bid farewell to the summer season in raucous style. 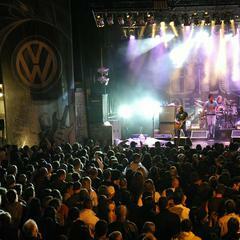 This year's dynamite lineup includes Gov't Mule, JJ Grey & Mofro and Anders Osborne. Aside from live performances from some serious headliners, attendees of the Telluride Blues & Brews Festival can sample tasty craft brews from around the country and chow down on a variety of food vendors. This year's dynamite lineup includes Gov't Mule, JJ Grey & Mofro and Anders Osborne. 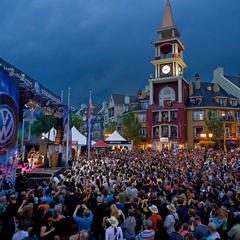 The Tremblant International Blues Festival brings 10 days of blues music from around the world to multiple stages across Tremblant's pedestrian village. More than 100 shows will be performed both indoors and outdoors. This year's lineup includes Adam Karch, Blackburn, Cliff Stevens and more. 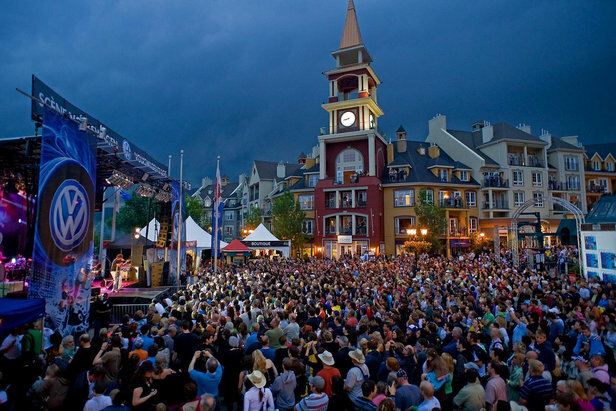 Jam out in the Rockies this summer at the 4th Annual Copper Mountain Music Festival. The event features bluegrass and Americana music. 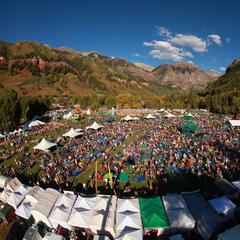 A free music festival wouldn't be complete without cold beer and views of the Ten-Mile Range. Activities include workshops, jam sessions, outdoor adventures, kids craft stations and fireworks. This year's lineup includes Jerry Douglas, Tim O'Brien and John Fullbright. Located in Alta, Wyoming, the Grand Targhee Bluegrass Festival is advertised as the "granddaddy of bluegrass festivals in the Northern Rockies." The Grand Targhee Bluegrass Festival is advertised as the "granddaddy of bluegrass festivals in the Northern Rockies." Now in its 31st year, the 2018 lineup features artists like Greensky Bluegrass, The Infamous Stringdusters, I'm With Her, Keller Williams and many more. Leading up to opening night, artists host a music teaching experience at the Targhee Music Camp. Bluesapalooza is one of Mammoth's biggest events attracting headliners, including Taj Mahal, Keb Mo, Eric Gales and ZZ Ward. The 2018 event will spread blues, R&B, soul and rock'n'roll across two stages. Not to be outdone, more than 50 craft breweries will be offering tastings over the weekend. If you enjoy rocking out with an exceptional glass of whiskey in your hand, this festival is for you. Three days of whiskey tasting, food vendors and live music make this event a top priority. This year's Mammoth Rock N Rye lineup includes Reverend Tall Tree and Cash'd out. 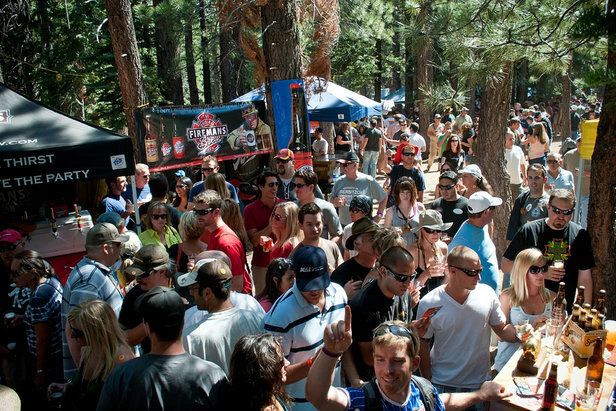 4 Peaks Music Festival, located in Bend, Oregon, is a family-friendly event. Camping spots are available as well as a kids' zone and local craft beers. 4 Peaks offers everything from morning yoga to late night concerts, nearby mountain biking, climbing, kayaking and fishing. Downtown is filled with two dozen craft breweries, art galleries and boutique shops. This year's lineup includes Greensky Bluegrass, North Mississippi Allstars and Poor Man's Whiskey. Nothing beats an entire summer of free music. "Music on the Mountain" Concert Series is returning to Plattekill with four free shows on the first Saturday of every month through October 6. Not only will concert-goers enjoy live music, they'll have their choice between a variety of delicious food offerings. Bar services available as well as scenic chairlift rides. Now in its 36th season, the Killington Music Festival (a non-profit organization), is the only resident professional classical music organization in central Vermont. The Music in the Mountains Concert Series takes place in Killington's Ramshead Lodge at 7 p.m. on Saturdays.